Designed by Iron Maiden's drummer. Known as the drummer for heavy metal band Iron Maiden, Nicko designed a stick which features a 5B shaft with a beefed up neck and tip. A medium-sized stick that produces plenty of sound. 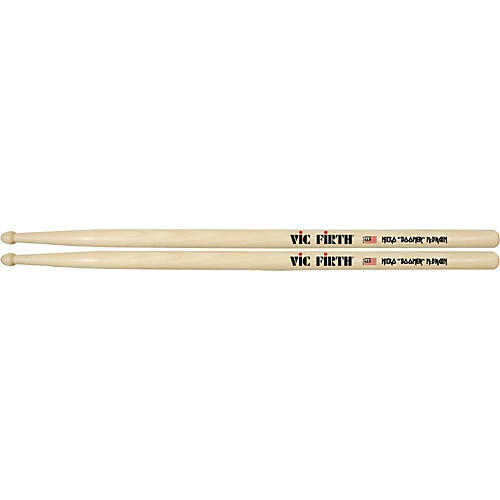 Each Vic Firth Signature Series model was conceived through extensive research with the finest drummers from a variety of musical styles. The designs reflect their musical requirements in terms of balance, feel, sound projection and cymbal color. Bulked up for hard rocking all night long. Order today.